Drew Wynne was opening up a small business in South Carolina when he lost his life, thanks to the product he bought in a local hardware store. He was using it to remove paint from a floor in his new workspace, and it cost him his life. He was 31 years old. The product contained a chemical called methylene chloride. 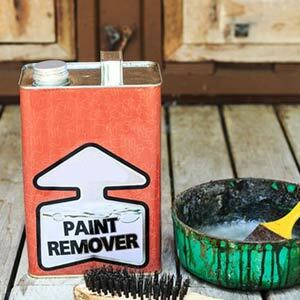 It’s in countless paint strippers on store shelves across America — and it’s lethal. It has caused deaths for decades. Thankfully, the local Congressional delegation aren’t standing for their constituents dying. Not when safer alternatives are available, and these tragedies can be avoided. They called on the EPA to take swift action to address such products with this lethal chemical lurking inside — and they may get blowback from industry interests who want to keep this dangerous product on the shelves. Make sure your Members of Congress are overwhelmed with support for standing on the right side! I'm writing today to thank you for urging EPA to take swift action to address the lethal methylene chloride-based paint strippers lining our store shelves, in our homes, and our workplaces. The news that a young South Carolinian man lost his life simply trying to fix up his new business, using a product available and the local hardware story, and attempting to take what he thought were the necessary precautions, is simply tragic. We need to protect South Carolinians, and all Americans, from suffering as Drew Wynne's family has had to suffer. I am grateful for your leadership. Please continue to push for action on this lethal chemical, and encourage your colleagues to do the same.